Honda ATV Forum > Honda ATV Forums > ATV of the Month Contest! > March 2019 - Honda ATV of the Month Voting! View Poll Results: Who should be the March 2019 Honda ATV of the Month? 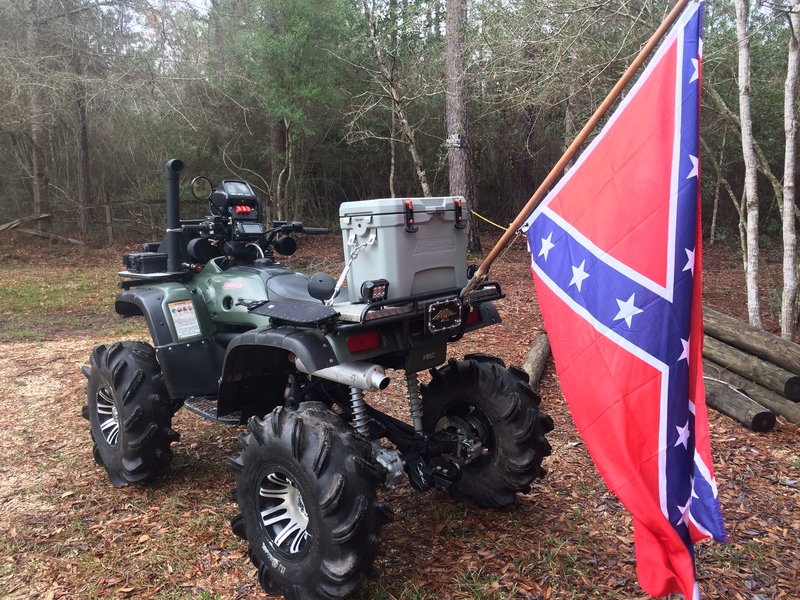 March 2019 - Honda ATV of the Month Voting! Let the voting begin for the March 2019 Honda ATV of the Month! We will leave the poll open until the end of the month and then announce the winner. We got some really good pics this month, thanks to everyone that participated and GOOD LUCK!! 1987 Honda Fourtrax that I bought last fall for $500 Canadian. Beat to crap and I spent the winter outside in below freezing working on getting it to run. It really needed some TLC as I don't think they took very good care of it. Got it to run and installed a Stealth 3500 winch and KFI plow system. 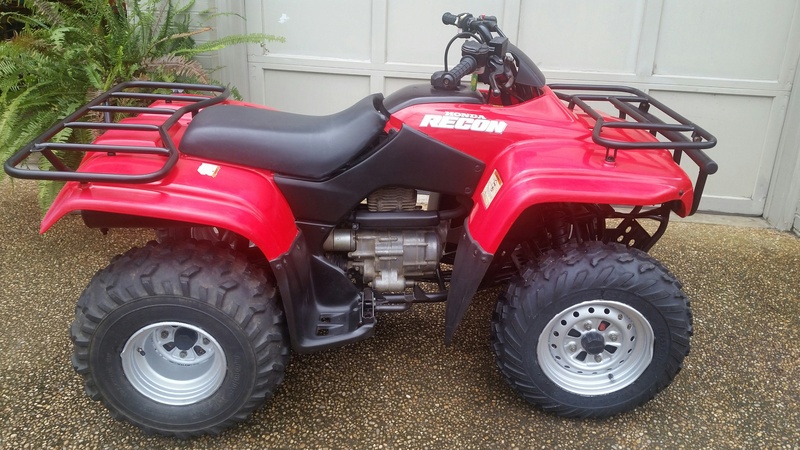 I need this ATV for plowing in the winter and logging in the summer. I will keep the plastic off because it just gets in the way. When it warms up I will finish working on it but for now it is plowing like a champ. Bump..... Lets get them votes rolling in! Holee Mohlee @fishfiles is there a build thread on your entry? Like to see more pix of that beast! @GirlsRideToo hey what’s up with the front of your seat? It doesn’t look like it’s engaging the front tab. That’s a real clean unit i jnow you put a lotta work into it. misterclean59, retro and Chalkymon like this. Yes, the seat is a problem and is a known issue on these bike. It seems that with time the plastic bows down which kicks the front of the seat up and the cover shrinks which makes things worse. I tried everything, including standing on the underside of the seat to flatten it back down. Nothing works. It is hooked on the brackets. Since the seat and cover are original I'll keep it this way. I think of him as a senior citizen with minor wrinkles. Goober and retro like this. My trx350 does that too. the seat pan appears to be a touch warped i thought it was because the PO strapped it down across the seat. The seat cover is super tight so maybe that’s why. Bumped ..... Just a short time left! If you look carefully you may find out that the two plastic tabs under the seat are resting on top of the slots on the frame instead of under then slots. This has been a common problem on all three Hondas I've owned. I hold the back of the seat up with one hand while pushing down in the middle of the seat with the other hand until it bends in the middle just enough to allow those same plastic tabs to slip under the frame slots. The frame slots can get bent down from the seat being on top which just aggravates the problem until you bend them back up a little. You can see wear marks on the wrong side the the plastic tabs if it's been installed correctly. I actually broke of one the seat tabs due to incorrect installation. Hope this helps!